We connect business, people and industries to the information they need to know. Create and produce engaging and creative content on behalf of our brands and our marketing partners to reach key industry decision makers. Produce industry-leading conferences and events for the home furnishings and gift sectors that attract thought leaders. Exclusive industry research, surveys, reports and rankings from our market research team that help drive business. 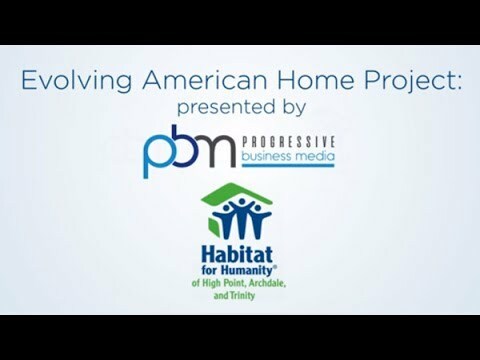 Progressive Business Media, in conjunction with the High Point Market Authority and the City of High Point, focused on serving the residents of High Point by bringing together the home furnishings industry to construct a home for one of its own via a Habitat for Humanity build. Progressive Business Media, with offices in Greensboro, N.C., and New York City, is the premier business media and communications company with brands that deliver content and research in print, online, and at live conferences and events. PBM prides itself on being part of every business community it serves and bringing people together to discuss issues of the day and to deliver meaningful content. Let us help you get in front of the people you NEED to be in front of.